I’ve learned a lot from Mark Yarnell, one of the most successful distributors in the history of our great industry. One of the best lessons I learned from him is that if you want to build your MLM Business fast, you need to talk to 30 people a day about your products and business opportunity! In other words, you need to take massive action and expose your business opportunity and products to as many people as possible, as quickly as possible, if you want to create a six figure income in network marketing. That makes total sense to me. Now, I know that less than one percent of the top one percent of the people in our industry will ever talk to 30 people a day, let alone 30 people a month. And that is probably the # 1 reason that people don’t make money in network marketing: they don’t expose their products and business opportunity to enough people. 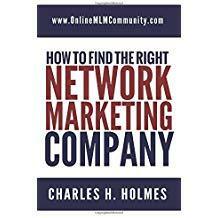 MLM is simply a numbers game and you have to work the numbers if you want to succeed. You will hear countless excuses why people say they CAN’T talk to 30 people a day. If you truly believe you can’t do it, there’s no doubt in my mind you can’t do it. You see, what you believe is what you will get! But what if just for the next 12 months instead of you saying I can’t talk to 30 people a day, you said “how” can I talk to 30 people a day about my products and business opportunity? If you made the decision to do that, I’m sure you could come up with a strategy that would work for you. Listed below, I’ll give you a few simple strategies to talk to 30 people a day. Please keep in mind that it will probably take you about two hours per day to talk to 30 people a day, so it is very doable. And in order to call 30 people a day, you need LEADS for your business. So here are some simple ways to get leads. # 1 Buy Leads: You can buy leads from a lead company so you always have someone to talk to. You can buy a couple hundred leads for about $100, so it is very cost effective. Now, I know that a lot of people don’t recommend buying leads, but the truth is this is the EASIEST method I can think of to contact 30 people a day. The leads might not be the best quality, but as you hone your phone skills, you will close people and sponsor people. It is a numbers game and when you buy leads you can work the numbers quickly. I don’t buy leads myself, because I don’t like calling strangers, but many people do well with this method. # 2 Advertise: You can leverage yourself through paid advertising. Ideally, you want to get people to contact you first about what you have to offer. If you can advertise and get five to ten people a day to call you that is a good starting point. Ultimately, your goal is to get 20-30 people to contact you each day. Once you do that, life will be wonderful. You can advertise online or offline. # 3 Prospect: When you are out and about each day, keep your eyes and ears open for sharp people. There’s no doubt in my mind you can’t get at least three to five prospects a day, just by saying hello to people and being friendly with people you meet. In today’s crappy economy, many folks are hungry for something better! # 4 Referrals: Whenever you talk to anyone about your business opportunity or products, try and get referrals from them. Ask them for the name of the most motivated person they know. Or ask them who they know that might enjoy the products. # 5 Postcards: I love postcard marketing. It’s a fun and simple way to generate leads. You buy a targeted list of people, send out a good offer, and have interested people call you. # 6 Cold Calling: Cold calling is for the serious person with good self-esteem and good phone skills. I don’t think this is the best method, especially with the DO NOT call laws, and high rejection, but it can work. Lots of people have built successful businesses in our industry by cold calling people. # 7 A Combination of Methods: I don’t see any problem with using a combination of the methods mentioned above. In fact, I think it would be foolish not to. Do whatever you can to build up your leads list. Pick two to three methods that you enjoy and focus on those, rather than try and do too many things at once. These are just a few ways to get leads. Just remember that you NEED leads for your MLM Business. It will be impossible to call 30 people a day if you don’t have any prospects or leads. Let’s suppose that you made it a point to talk to 30 people a day for six days a week (you take Sundays off) for the next year. Over the next 12 months you would contact 30 people a day on 312 different days. That means you personally contact 9,360 people a year about your products and/or business opportunity. Let’s suppose that you are pretty bad on the phone so you only sponsor 1% of these people into your business. Following this example you would personally sponsor 93 people this year, or about 8 people per month. What do you think your business would look like if you sponsored 93 distributors in the next 12 months? What if you improved your phone skills as you went along and you sponsored 2% of your prospects? In this example you would personally sponsor 186 people in the next 12 months alone. What do you think your business would look like if you were willing to do that? My guess is that you would have a large team of distributors and you would be making some serious income. To be quite frank with you, I think it would be very doable to sponsor two to five percent of the people you talk to, especially once you hone your phone skills. If you could pull that off, you would personally sponsor several hundred people per year into you team. The bottom line is that if you want to achieve big success in the network marketing industry, you have to take massive action and expose your business opportunity and products to as many people as possible as quickly as possible. The best way to do that is to call/contact 30 people a day. In order to do that, you need a game-plan and the discipline to follow through. You need a constant flow of leads every day and you need to pick up your 300 pound telephone and call people! If you want to get the same type of results you are currently getting in your business, just keep doing what you are currently doing. But if you want to be part of the top 1%, you will have to change your strategy and do what they do. The people who make the real money in our industry are the people who expose their business opportunity and products to the most amount of people possible, on a consistent basis. Never forget that. Make it a point to talk to 30 people a day! Do that and you will be amazed at what you can accomplish in your network marketing business. It is that simple if you break it down into bite sized chunks. And by no means do you have to talk to 30 people a day. Even talking to 3 to 5 people a day consistently can pay huge dividends.